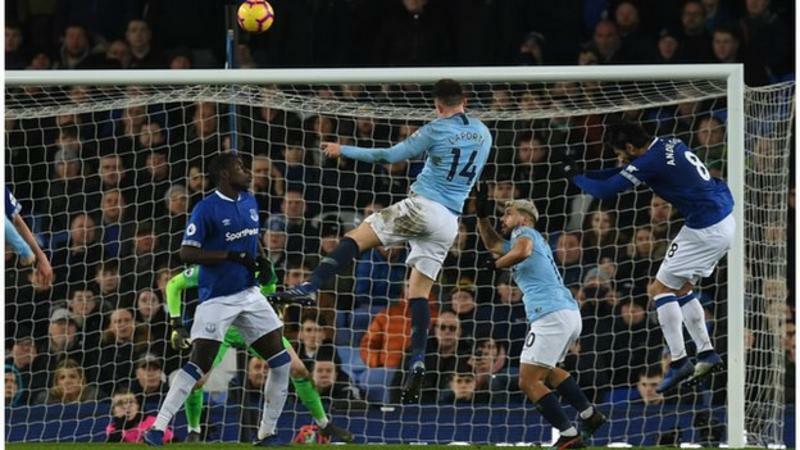 Pep Guardiola says Manchester City have learned “to never give up” after returning to the top of the table for the first time since 16 December with a 2-0 win at Everton. Manchester City manager Pep Guardiola: “We come from champions and we are in a situation where we could have given up but it didn’t happen. “We gave an incredible game against Liverpool. These players have shown incredible desire and performances for the last two years. How could I question them? Everton manager Marco Silva: “There are positives but again we didn’t take the points we want and we are working to achieve. At the moment bad things come too easy, we concede after 47 and 97 minutes. Just working like we did tonight, things will change for us, I am really positive. The team showed what we must do. “The fans are so good, at the end of the match what they did for our players, I don’t have doubts. We are all together and we will give them what they want and what they deserve. “Everything was different compared to Wolves, I have to be honest. This has to be our image as a team. We must be consistent, it is an obligation for us. A desire to win, an aggression – it is what we have to do every time against every team. “You have to respect every team. Be aggressive at set-pieces. We were in the zone we must be in, we moved a little bit, it was a good delivery and header but we have to challenge. I have to speak with my players about this, it is not normal.